Teacher Landa Bautista, executive director of The Learning Center, (TLC) Inc. is our angel talker this week. She reports about the new addition to TLC’s Community Living Program for students with autism and other special needs which is the softball clinic. The game, a variation of baseball, is played on a smaller diamond with a larger, softer ball that is pitched underhand. The main goal of the softball clinic is to help special needs children achieve more through sports. It aims to teach important values such as honesty, sportsmanship, loyalty, camaraderie, and teamwork through softball. 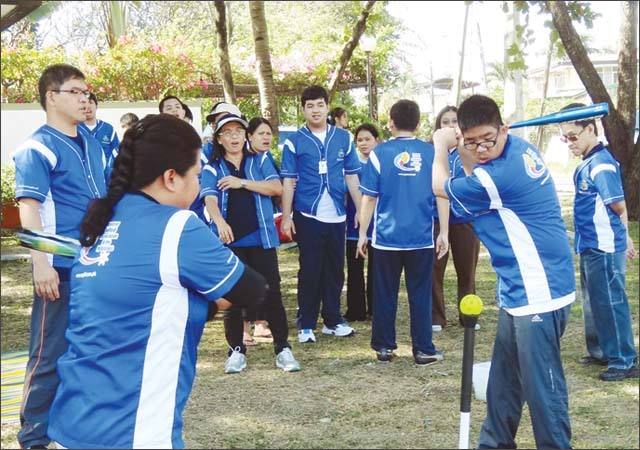 The school has partnered with the Consulate General of the Republic of San Marino and the Amateur Softball Association of the Philippines (ASAPHIL) to achieve these goals. San Marino Consul General Jean Henri Lhuillier is an advocate of children and supports activities and programs for their future and welfare. Together, the three-partner organizations conducted a free four-day softball clinic for all TLC students with autism and other developmental conditions. Nineteen children participated in the kids division while 24 adults joined the adult division. 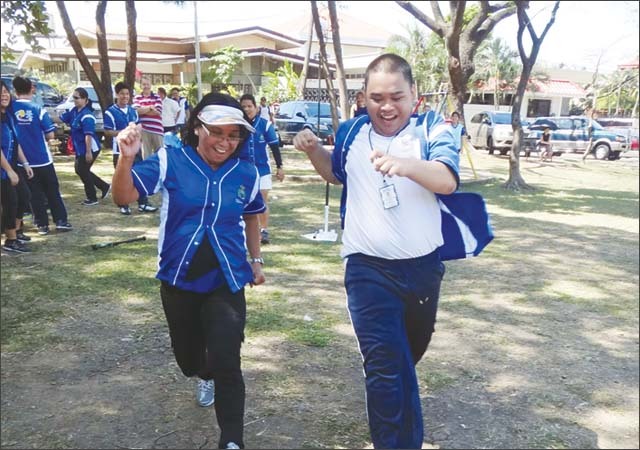 With the help of Operations manager Jun Veloso, and coach-facilitators Nina Buenaventura, Virgilio Cruz, and Nina Serafico, ASAPHIL conducted basic softball drills for the special needs players. “All the coaches were patient. They were very warm towards the students,” said Melanie Nucom, the mother of Kurt who was one of the players. The coaches started by introducing the basic equipment and materials used in playing softball such as the ball, baseball/softball bat, glove, base, and home plate. They also brought a T-ball batting tee to help start the students at the most basic playing level. Then they made some warm up exercises that included stretching, basic catching and throwing drills, fielding drills, batting drills, base running, and lead up games. During the first part of the clinic, the coaches and teachers assisted the students with moderate to maximal prompting. As the activity progressed, several students completed drills on their own, with only minimal assistance and prompting. “We were happy to see the response of the students. It’s wonderful to see them follow instructions during the activity,” said Gilda Salting, the mother of JR.
On the other hand, students with gross and fine motor concerns enjoyed hitting the balls. Everyone took turns at hitting, throwing, catching, and pitching, which developed their waiting skills, attention span, and social skills. “Masaya! Marunong na akong pumalo ng bola!” said the 14-year-old Regie. The activity was definitely an unforgettable learning experience for the students, parents, and teachers! The students anticipated the event with much excitement, some even asked for their own caps and bats. To the parents and teachers’ amazement, the students gamely participated and enjoyed all the drills. Teacher Melen Nofrada said that the program was very good because it was adjusted to the skills of the students and allowed them to really have fun. Needless to say, everyone simply reveled in everyone else’s cheers. Indeed, softball unlocked so many of the students’ potentials. At the end of the softball clinic, a satisfied Consul General Lhuillier announced that the Consulate plans to conduct a series of sports clinics for special children nationwide. “The experiences we shared with the students, parents, guardians and teachers will forever be in our hearts,” he said. The same sentiment is shared by the TLC families and teachers who participated. Now that the world of softball has been opened for these students, watch out for their homeruns!